The MB3600-HP10 Laboratory Hydrocarbons Analyzer is not only a valuable and reliable laboratory analyzer in its own right; it also allows custom calibration model development for on-line hydrocarbon process optimization. 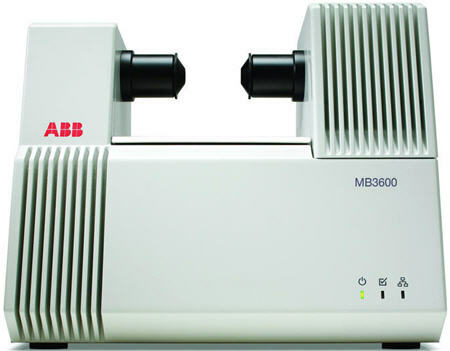 The MB3600-HP10 FT-NIR laboratory analyzer is designed and configured for routine hydrocarbon analysis and for easy calibration modeling and method preparation. It includes all the hardware, software and accessories required for both QA/QC analysis and chemometric development. ABB's world-renowned range of on-line and laboratory FT-NIR analyzers provides guaranteed transferability of calibration models between laboratory and process applications. Robust, stable FT-NIR analyzer platform allowing rapid project start-up for on-line process optimization projects through fast-track method development in the laboratory. Pre-installed with a set of functional calibration models for gasoline, diesel, reformate and naphtha. Robust sample cell for hydrocarbons. Adaptable for a wide range of accessories including liquid flow cells, sample flow pumps and sample cell temperature control. ASTM compatible accuracy and precision guaranteed for both pre-installed calibration models and ABB custom developed models.